Hóngxiāng (Red Village) Qūanfa (紅鄉 拳法) comes from one of the oldest, and most effective, military combat systems ever developed. The system was designed for adults and mature teens. The training is difficult, dangerous, and demanding. It takes perseverance, high motivation, a good mind, and, an unwillingness to compromise standards. The system utilizes improvised as well as standard weapons. It is meant to supplement a future soldier's battlefield repertoire of techniques and ideas to keep him alive and functioning in that hostile environment. This is not for exercise or sport. Due to time and budgetary constraints, it must be taught outside of regular military training schedules. If you would like to contact Hóngxiāng (Red Village) Qūanfa please use the links below. Welcome to the official Kenpukan website! 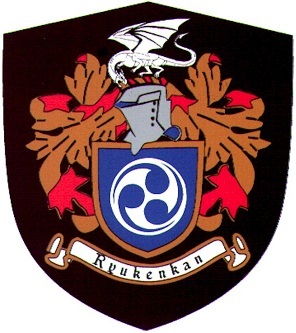 The 'Kenpukan' (ken-fist pu-hurricane kan-school) is a branch of the Academy of Ryukyu Kenpo. Here at the Kenpukan we teach "Ryukyu Kenpo" - SAVAGE self-defense with hundreds of specialized techniques that have been designed to be extremely effective against all forms of violent encounters, at whatever level your training. And full contact sparring, which allows people to actually experience violence in a safe and supportive environment, to see it, study it, and understand it. Only by understanding violence can we prevent it from occurring. We are the ONLY organization in Israel that teaches effective, uncompromising self defense techniques taught by Certified Licensed instructors, as well as providing instruction in full contact sparring. While working with fellow students you will improve in character development, mental development, and build a deep and abiding respect for others, improving your quality of life. All classes contain challenging physical exercises that enhance coordination, strength, balance, agility, flexibility and stamina. So, whether you are looking to learn self defense, lose weight, gain self confidence or just have fun, Ryukyu kenpo is for you! 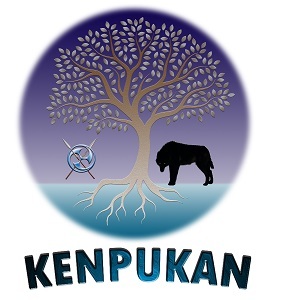 If you would like to contact the Kenpukan please use the links below. The Ryukyu Kenpo Karate Kobudo Rengokai (琉球 拳法 唐手 古武道 連合会) was established to help improve the standards and training of its member organizations. One of the main purposes of the Association is to bring together many of the different Okinawan and Kenpo (Kempo) based Organizations and strengthen them with advanced training, principles, and concepts. It, also, ensures that its members receive the benefits of becoming more knowledgeable and capable instructors. 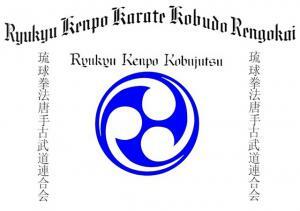 If you would like to contact the Ryukyu Kenpo Karate Kobudo Rengokai please use the links below.